We have had an amazing time at home. 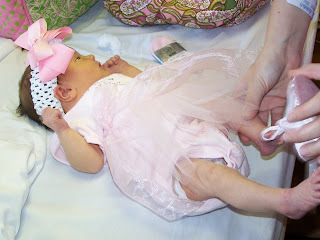 Here are some pics of getting ready to leave the hospital and Gracie's first day at home with Mommy and Daddy. I love your blog! So happy for you and Chris. Please let me know what day would be good for me to bring food over! Can't wait to see your little girl! Also, I'll add you to my blogroll. You all look so amazing, but especially little Gracie! I can't wait to come see her again. Give my niece kisses for me! Love you! Isn't it great to see your man as a daddy? 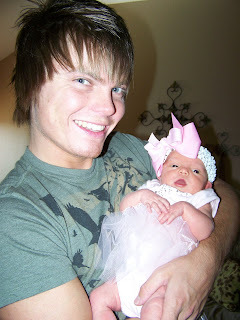 I remember, that I was never more in love with Blake than the first time I saw him hold Tyler. 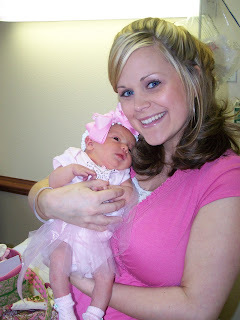 Our marriage was stronger than it had ever been...kids will change your life!! 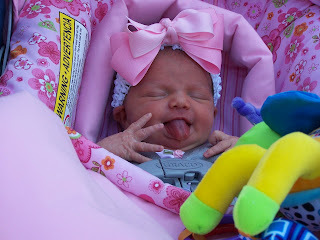 i love, love, love that pic with her tongue out! she's already getting such a cute little sassy personality! Oh what fun awaits you at home. It is so nice to get in your environment and start your life together! Precious family!